Call us at 281-752-4100 today. 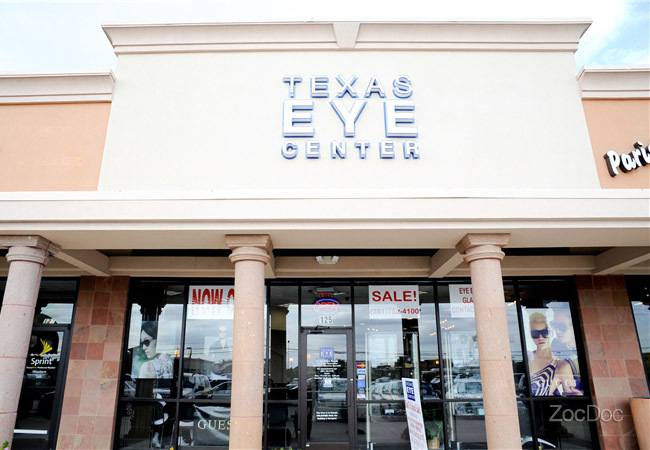 Texas Eye Center is a staple for optometric services in the West Houston community located on Westheimer Road in the Westchase District. Dr. Bereket Tsegai's practice focuses on treating all routine vision issues as well as medical eye conditions. Myopia (near sightedness), hyperopia (far sightedness) and astigmatism are all treated with spectacle lenses in designer frames or glaucoma, cataracts, diabetic retinopathy, hypertensive retinopathy, dry eye, allergies, macular degeneration, eye injuries and eye infections are all treated at Texas Eye Center, among many other conditions. Patients are our priority and our friendly staff will welcome you with warmth and professionalism that will address all of your eye care needs. We want to be your eye care and eye wear provider for life.